We’d love your help. Let us know what’s wrong with this preview of Life Without Baby Workbook 2 by Lisa Manterfield. 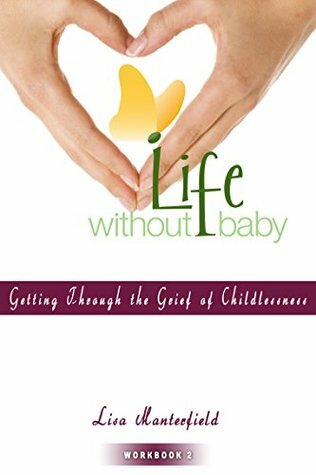 To ask other readers questions about Life Without Baby Workbook 2, please sign up. I’m Lisa Manterfield and I love telling stories. I’m a curious cat and I’m fascinated by human behavior and what makes people tick. I love fish-out-of-water stories of ordinary people in extraordinary situations, especially if those situations delve into the unexplained. I love digging up nuggets of history—not the vast sweeping stories of events that changed the world, but the personal stories of pe I’m Lisa Manterfield and I love telling stories. I love digging up nuggets of history—not the vast sweeping stories of events that changed the world, but the personal stories of people making their way through life while history happened around them. Like many of my characters, I grew up in the north of England. Although my hometown of Sheffield is a big city, I fell head-over-heels in love with the surrounding countryside and spent most of my early years outdoors. In school, I became my county’s orienteering champion, which means I was a whizz at navigating with a map and compass, and thrashing my way through mud and brambles. These days, you’re more likely to find me riding my bike at the beach or running (slowly) the trails near my home in California. I’ve always loved adventure. My first expedition happened when I was two years old and I escaped through a gap in the fence around my family’s house. Ever since, I’ve loved exploring, whether that means heading into the woods for a hike, traveling to new countries, learning a new skill, or escaping into a great book. Some of my favorite adventures include hiking the Inca Trail in Peru, climbing a via ferrata in Italy, feeding a rhinoceros at the zoo, seeing elephants in the wild, performing in a play, teaching myself to play the bagpipes, learning to cook Indian food, canoeing down a river, and bicycling around Ireland. Despite my love of adventure, most days you’ll find me in slippers, writing.